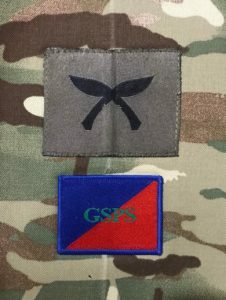 Regimental Headquarters the Gurkha Staff and Personnel Support (GSPS) with great pride announces the introduction of its own Tactical Recognition Flash (TRF) which will be worn by the serving members of the GSPS with immediate effect. 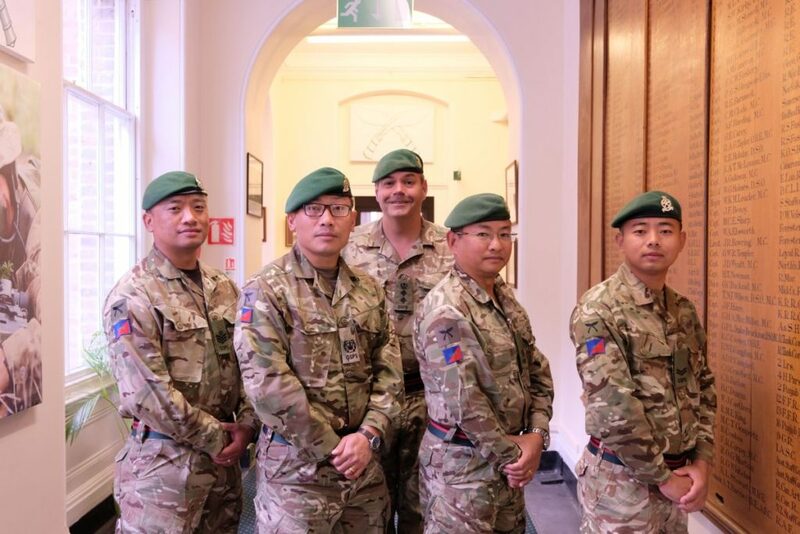 This key milestone further enhances what is already a significant pride in our organisation, and promotes cohesion, our brand and professionalism across the Brigade of Gurkhas and the wider British Army. The first few GSPS TRFs were presented by the GSPS Colonel of the Regiment, Colonel A D Griffiths OBE at Regimental Headquarters in Sandhurst on Tuesday 2nd October 2018. Colonel GSPS also announced that the Army Dress Committee had approved for the soldiers to wear black/dark green chevrons thus maintaining our links to the Royal Gurkha Rifles heritage. Army Dress Committee authorised GSPS TRFs will be worn on Multi Terrain Pattern jackets. The suppressed TRF is designed for operational deployments.